Life in the shadow of the Berlin Wall has been a fertile ground for writers such as Len Deighton, John le Carre and Ian McEwan. 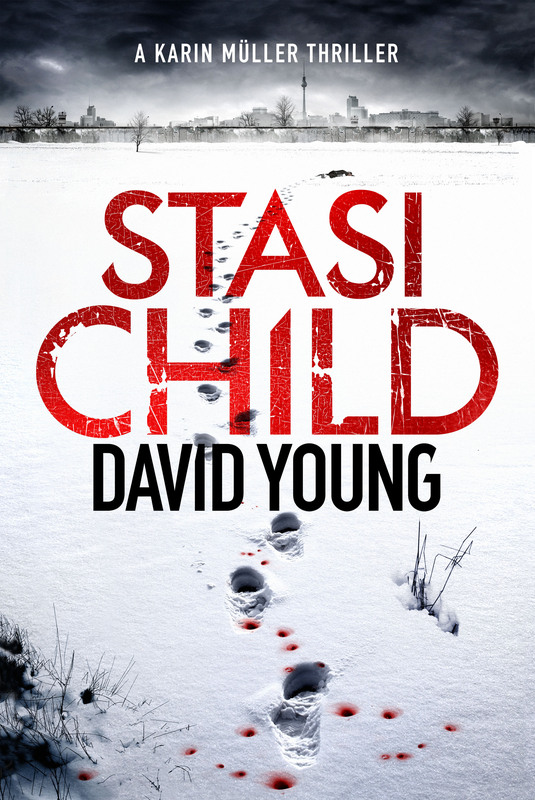 David Young’s acclaimed new novel Stasi Child, published by Bonnier, takes us once again to the DDR and deep into the brutal heart of its infamous secret police apparatus, and introduces us to a startling new protagonist, Oberleutnant Karin Müller. When murder squad head Müller is called to investigate a teenage girl’s body found riddled with bullets at the foot of the Berlin Wall, she imagines she’s seen it all before. But when she arrives she realises this is a death like no other: it seems the girl was trying to escape – but from the West. Müller is a member of the People’s Police, but in East Germany her power only stretches so far. The Stasi want her to discover the identity of the girl, but assure her the case is otherwise closed – and strongly discourage her asking questions. The evidence doesn’t add up, and it soon becomes clear that the crime scene has been staged, the girl’s features mutilated. But this is not a regime that tolerates a curious mind, and Müller doesn’t realise that the trail she’s following will lead her dangerously close to home. 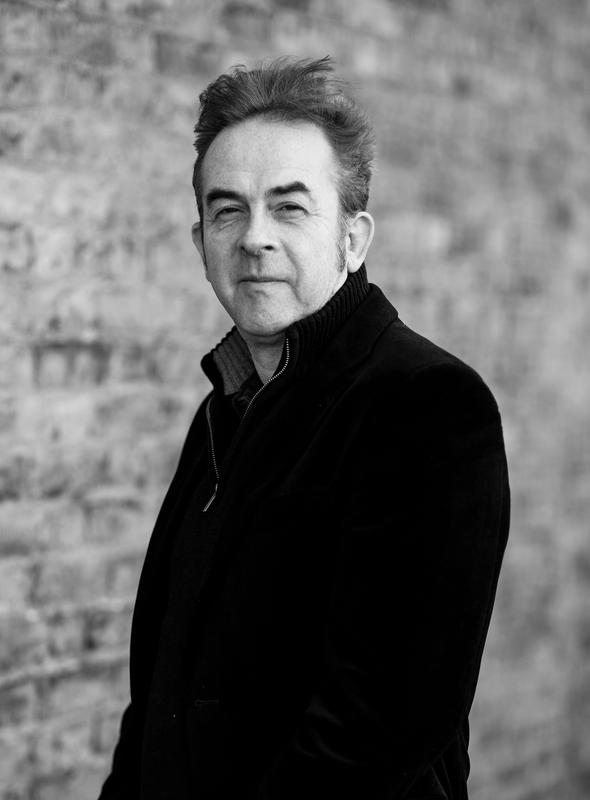 Young’s Cold War procedural, the first of a trilogy, is picking up a lot of heat – it’s already been optioned for television – so Crime Thriller Fella is delighted to kick off the Stasi Child Blog Tour with a Guest Post by the author. Where do book titles come from? The current flavour seems to be to mix up the words ‘Girl’, ‘Train’ and ‘On’ and either tack on or leave off the definite or indefinite article. When I plumped for Stasi Child, I was fully expecting accusations that my novel’s title was a rip-off combination of Anna Funder’s Stasiland and Tom Rob Smith’s Child 44. There’s actually an element of truth in that. The novel was inspired by reading Stasiland, and the parallels with Child 44 are that it features a state police detective, in a communist country, whose search for the truth is hampered by the secret police. So who were the Stasi? Here’s a potted guide. The name Stasi is an abbreviation derived from these letters in bold in the official German title: Ministerium für Staatssicherheit. It was formed in February 1950 – just a few months after the creation of East Germany (more properly the German Democratic Republic, or Deutsche Demokratische Republik – hence the abbreviation DDR which older readers will remember seeing on television emblazoned on the shirts of chunky bearded shot putters — and not only male chunky bearded shot putters). One of the Stasi’s main roles was spying on the DDR’s own citizens, to root out counter-revolutionary and fascist sympathisers and prevent them from undermining the state. In other words, anyone who disagreed with the ruling party line. From its early beginnings, the Stasi became a vast network of agents controlled from its main headquarters in Normannenstrasse in East Berlin (or in the DDR’s terms the Hauptstadt der DDR) using covert methods – the full extent of which only became apparent when the Berlin Wall was torn down and the two Germanies reunited (the 25th reunion anniversary was earlier this month). And from the start, Stasi agents modelled themselves on the original Soviet secret police, the Cheka. Most officials would have a bust of the Cheka’s leader, Felix Dzerzhinsky, on their desks and would think of themselves as ‘the German Cheka’. As an organisation, it grew exponentially during the 70s and 80s – by 1989 it had more than 90,000 full-time employees. But just as important to the way the Stasi worked were its unofficial informants – more than 170,000 strong by the time the Wall fell. These could be friends, neighbours – and even lovers, as many former East Germans were shocked to find out from Stasi files after 1990. The mammoth job of piecing together the vast quantity of files the Stasi shredded when East Germany collapsed is still going on today – and will continue for many more years – a giant jigsaw puzzle of state snooping. What’s little known about and particularly shocking (and relevant to the plot of Stasi Child) is the number of Stasi informers who were children or youths. It’s estimated that by 1989, six percent of those 170,000 unofficial informers were under the age of eighteen. Their recruitment had begun in the mid-1970s, when Stasi Child is set. The Stasi was split into a number of departments serving different functions. It had its own criminal investigation division which worked in parallel to – but rarely with – the detectives of the People’s Police, the Volkspolizei, the employers of my main character, Oberleutnant Karin Müller. The Stasi would take over cases from the People’s Police when there was a political element to the investigation, as there is in my initial murder scene, by the Berlin Wall. They would almost always never work on the same team as the police, although all police units would have official Stasi liaison officers (as well as, no doubt, plenty of unofficial informers). So my story – where I do have the two organisations at least partly working together – is to some extent authorial licence. But I have, I hope, created a credible explanation for it. Intriguingly, very few former Stasi officials have any regrets about what they did. For most, their actions were seen as a necessity to defend the revolution, to defend socialism and protect the integrity of the DDR. And many former East German officials – not just those in the Stasi – still insist that those who attempted to escape over the Wall (officially the Anti Fascist Protection Rampart/Barrier), and those who were held captive in Jugendwerkhöfe (youth workhouses) must have been guilty of some form of criminality. Occasionally it was true. More often than not, it wasn’t. This entry was posted in Authors, Blog Tours, Guest Posts and tagged David Young, Ian McEwan, John le Carre, Len Deighton, Stasi Child on October 19, 2015 by Crime Thriller Fella.